How old were you when you started sailing? I grew up living on a boat so I was sailing from about five, but I didn’t really get into dinghy racing until around thirteen when we arrived back to New Zealand. Tell us about the years of your childhood that you spent living on a boat! Is that what introduced you to the sport of sailing? It was a cool way to spend my childhood, I guess I appreciate it more now looking back at the amazing places we were lucky enough to visit at such a young age. We traveled for seven years from NZ up to the UK and back again. Growing up the boat was definitely the reason I got into dinghy sailing. When we got back to NZ I was keen to stay on the water so started racing at Hamilton Yacht Club. I was lucky enough to be able to learn from some great sailors like Jimmy Gilpin and Adam Locke. What was your first boat? My first boat was a wooden Optimist called Miss Piggy. She was fast, but not the most watertight of vessels. Why did you first decide to sail the Laser? And what has kept you sailing it since? I saw Peter and Scott Burling sailing their Laser in Tauranga and the simplicity and speed of rigging really appealed to me. Now, I really love the competitiveness of the class. There are such small margins separating the entire Laser fleet and that makes the racing very close and will punish you if you have weaknesses in your campaign. 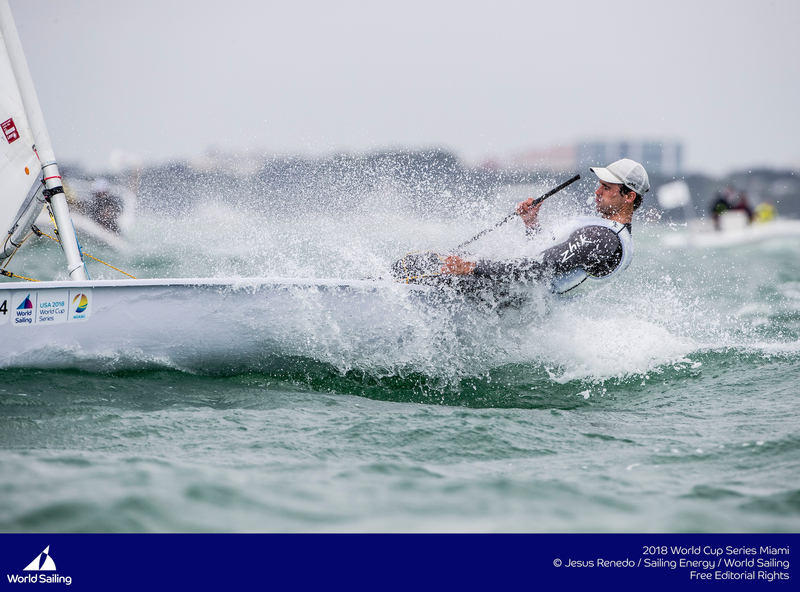 What was your first international Laser regatta and first international Laser podium? My first international regatta in the full rig was Kiel Week in 2008. It was also my first introduction to towing out to a race course… definitely not the event I would recommend starting with for a southern hemisphere sailor. My first podium was the ISAF Youth Worlds in Denmark. I went well finishing third, but spent most of the time watching Pavlos Kontides hike off into the distance! When you were getting involved in sailing the Laser, were there any specific sailors you looked up to or strived to be like some day? Andrew Murdoch and Mike Bullot were the guys who were the legends when I started, so they were the guys I looked up to. Do you think you’ve surpassed or achieved those early goals? My goal has always been to try and win a Laser Worlds, so I haven’t come that close yet. You were part of the winning team at Youth America’s Cup in 2013 with Peter Burling and Andy Maloney, do you intend to return to America’s Cup sailing at any point in the future? 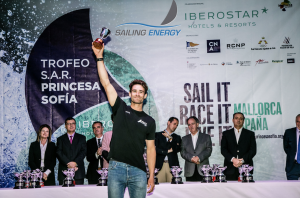 The Youth America’s Cup was a good learning experience for me and a great chance to see that side of sailing. I would love to be part of an America’s Cup team if the chance arises. 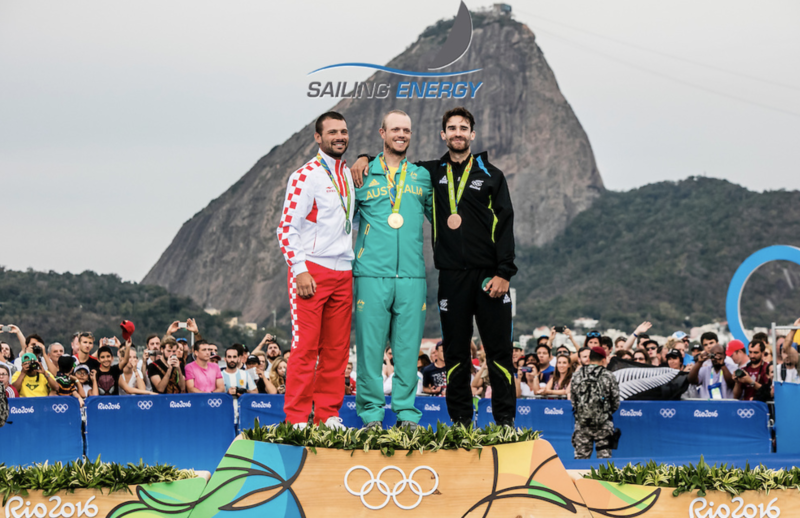 Tell us about your relationship with Andy Maloney—your sisters medaled together in the 49erFX at the 2016 Rio Olympics; you and Andy were both intensely chasing the Laser Olympic qualification for Rio, which you attained and continued on to win bronze; Andy continued on to join Emirates Team New Zealand and win the 2017 America’s Cup. How long have you known each other, trained together, and competed against each other? Did your relationship change after Rio? I have known Andy for about twelve years now and we have been mates and raced against each other pretty much that whole time. Olympic selection is always going to be stressful, but luckily Andy is a good rooster and we were able to stay mates and training partners the whole way though. Andy came and trained with me post-selection which is something I will always be grateful for and just shows what a quality guy he is. Seeing Andy bring home the America’s Cup was epic! From Team New Zealand, who will you be competing against for the 2020 Olympic qualification? 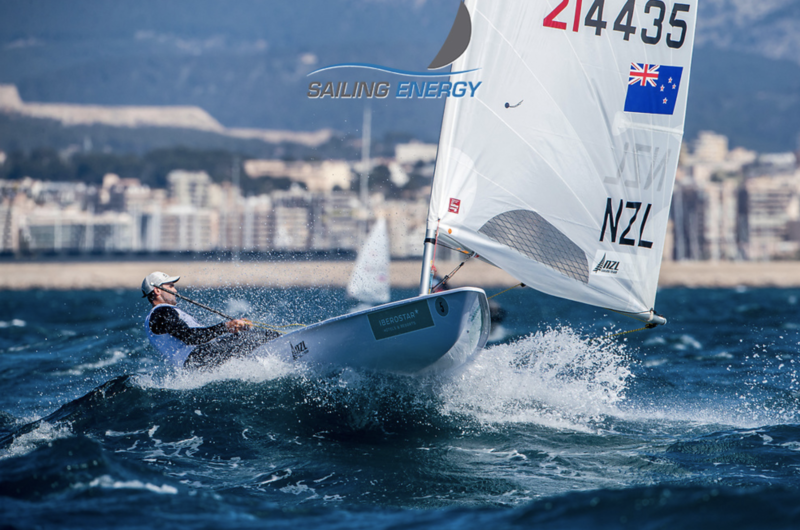 We are lucky to have a really strong training group with Andrew Mackenzie, Thomas Saunders, George Gautrey, and Matt Kempkers, so selection for anything in NZ for the Laser will always be challenging. What was it like winning the first Laser Olympic medal for your country at your first-ever Olympics? It was amazing to come away from Rio with a medal, especially with my sister finishing second at the same time. It was great to be able to share that success with my coach Mark Howard. You’ve kicked off 2018 with a bang, placing 4th at Sailing World Cup Miami and 2nd at Sailing World Cup Hyères. With Aarhus Sailing World Championships on the horizon, and your eye on a second Olympic qualification, what are your strengths that you plan to enhance and what areas do you need to improve in 2018? I would really like to do well in Aarhus this year. Last year I felt like I was on similar form and had a great chance at the Worlds but didn’t put the second half of the event together, so that’s my aim for this year. The cool thing about the Laser is that there are always areas that need improvement! While you are sailing against an extremely strong fleet of Laser sailors, it is often about minimizing mistakes at this level. How do you work at reducing mistakes, or minimizing their impact? Everyone makes mistakes but I think it’s about not making two in a row. The best way to minimize the impact of mistakes is to sail at the front of the fleet where they are much less costly. 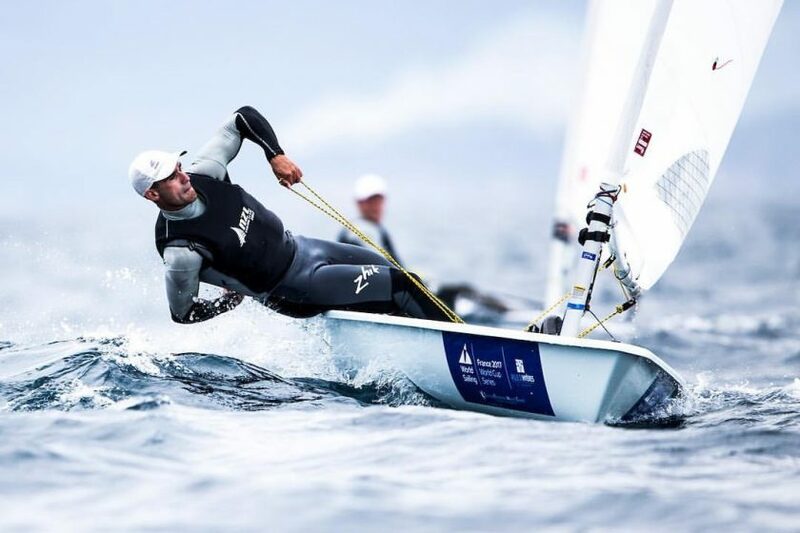 As a role model for younger sailors, do you have any regular interaction with beginner Laser sailors or youth athletes in New Zealand? I usually do some coaching over summer and am happy to help anyone where I can. In what area of study did you attain your degree? I have a Business Management degree. Do you have any other goals outside of sailing? I would like to own my own business one day. What do you enjoy doing when you need a break from sailing? If I can, I like to go surfing. What is your favorite place that you have traveled to because of sailing? Lake Garda in Italy. What would you like readers to know about Sam Meech as a person? How grateful I am to everyone that has helped and supported me over my career.